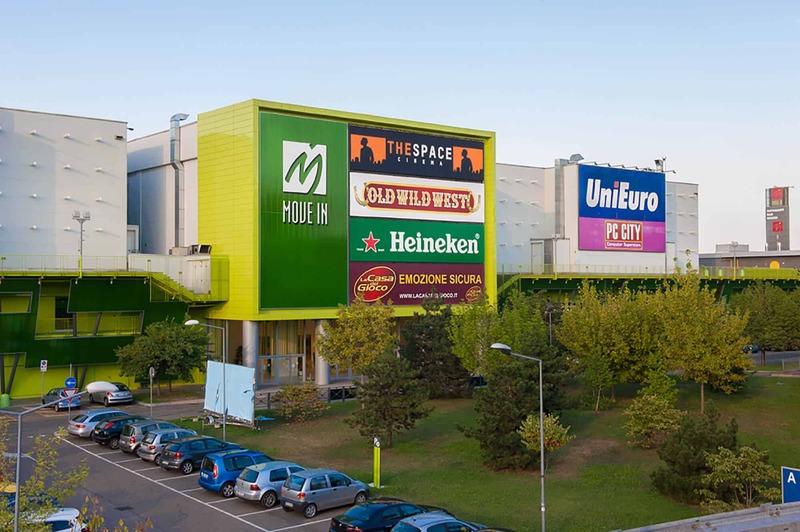 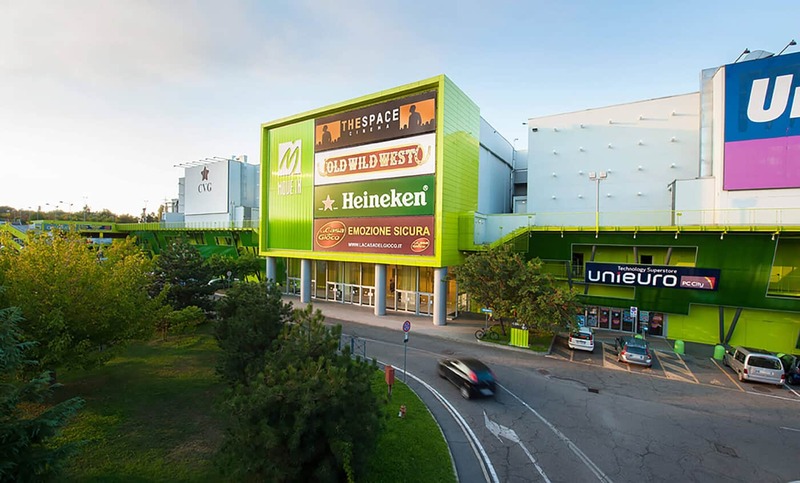 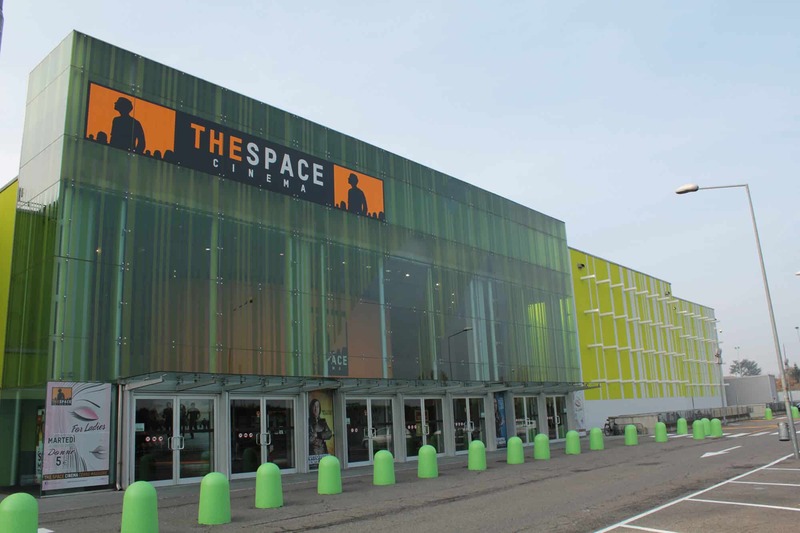 A brand-new shopping and entertainment experience characterizes the recently renovated Move In, a 13,500 sqm-leisure park located in the outskirts of Milan. 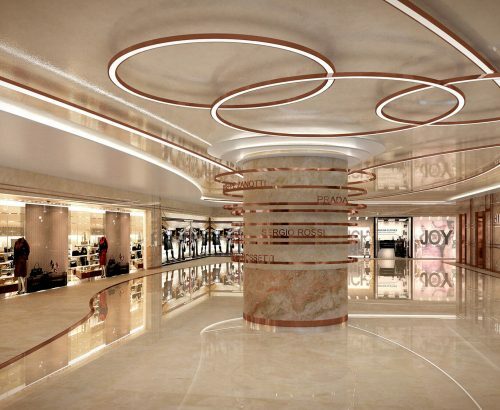 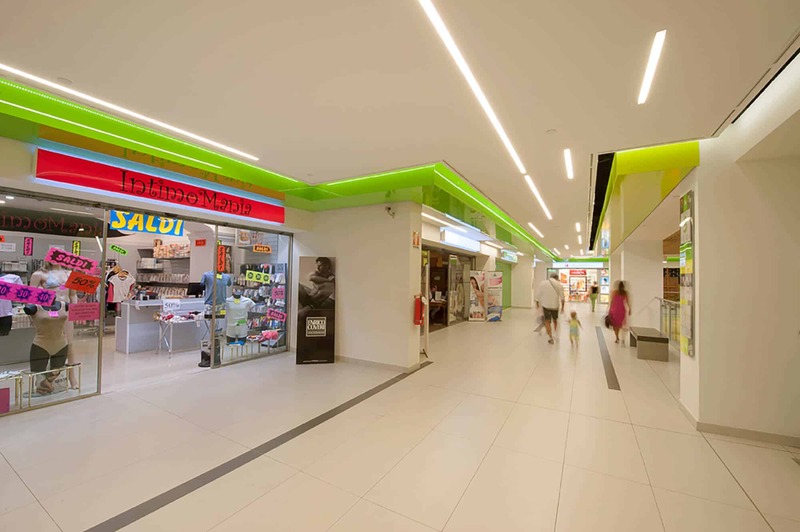 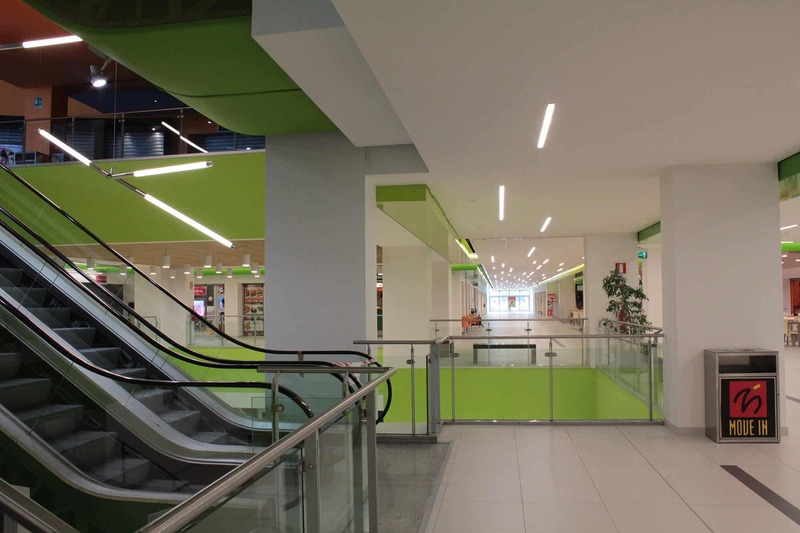 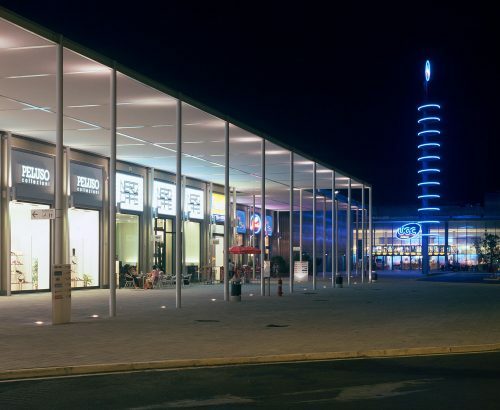 The complex, entirely renovated by Progetto CMR, features a huge shopping gallery and a multiplex on two floors. 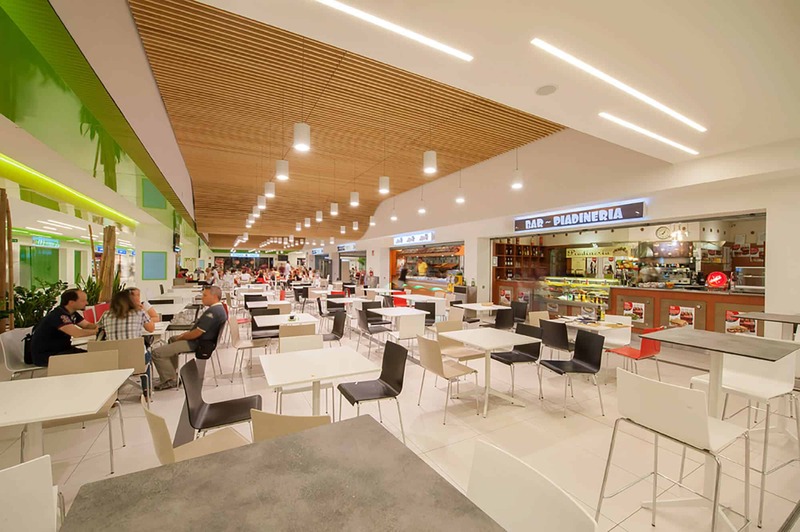 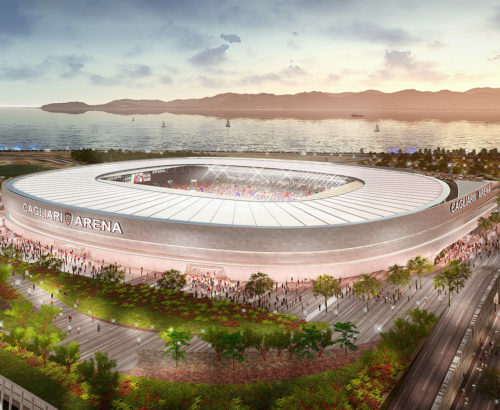 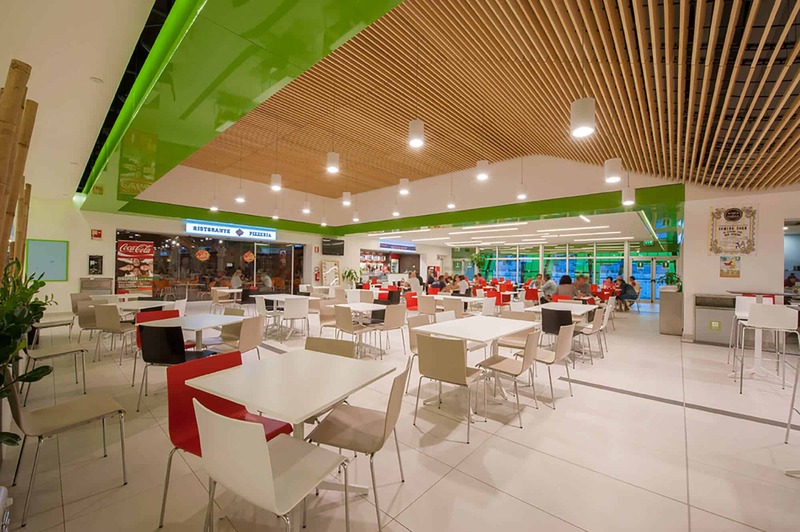 Our team redesigned its plants, facades and interior areas, aiming at creating a warm, captivating and sustainable enviroment, where services, retail and the user are all connected in a functional and enjoyable space. 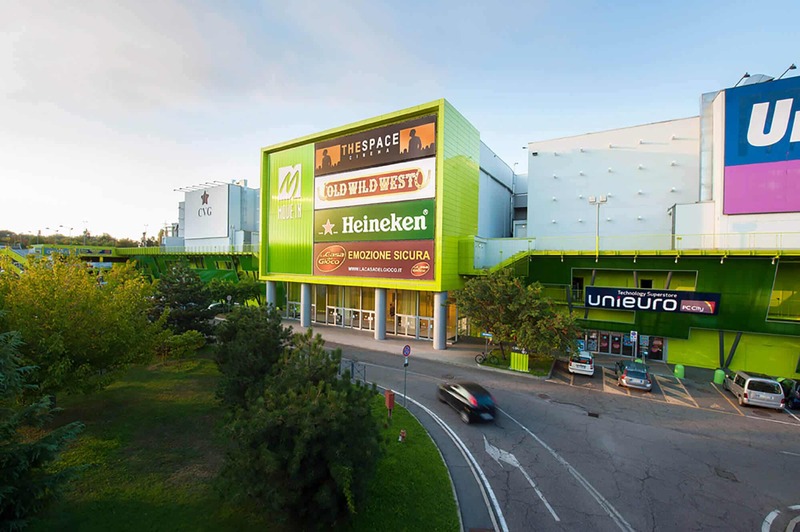 New life has been given to the facade, thanks to the geometrical shapes of the green polycarbonate and to the lighting system used for the glass cover. 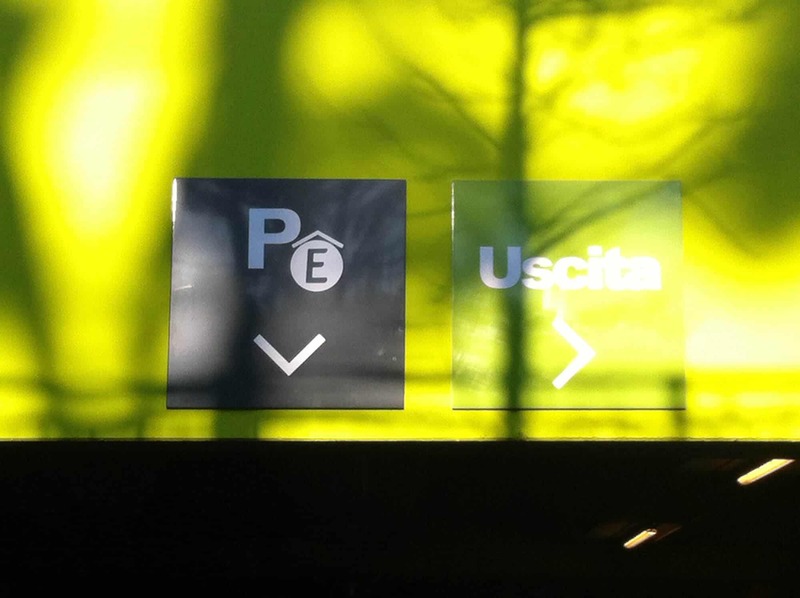 Progetto CMR has also designed all the signs used inside the building, giving it a further touch of freshness.